Other names: Bulala, ngoh khon san. Pulasan is a fruit from South East Asia. It is believed to be a native of Myanmar, Indonesia, Malaysia, Thailand and the Philippines. It is mostly seen growing in lowland primary forests, often on river banks but rarely in swamps, and usually on sand or clay soils. 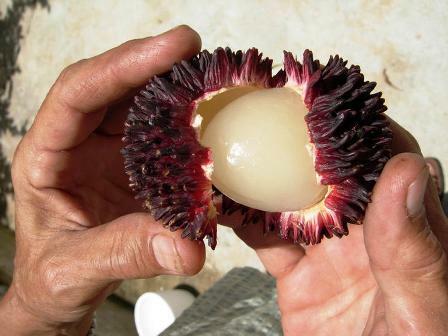 Pulasan is cultivated on small scale in Malaysia and Thailand. 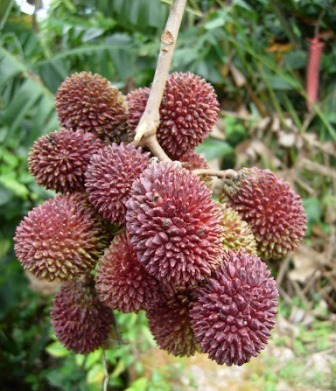 There are even some varieties of pulasan which have been developed in Malaysia. 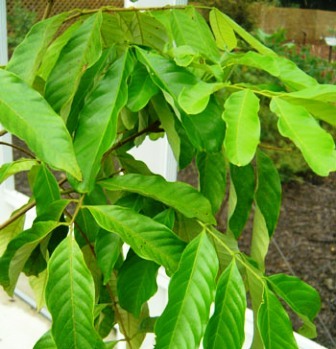 An evergreen dioecioucious tree reaching 30-45 feet (9-14 m), with a short trunk and a wide, rounded crown. Leaves alternate, compound with 2-5 pairs of glossy leaflets. Flowers small, greenish, in branched axillary or terminal panicles. Fruit is round to ovoid, about 5-7.5 cm long, with a bumpy red, purple or yellow peel; pulp white or yellowish, translucent, juicy, sweet and aromatic. Seed one, of the size and shape of an almond. Pulasan fruits are sweet and appreciated by the local people of Malaysia, Indonesia and southern Thailand. 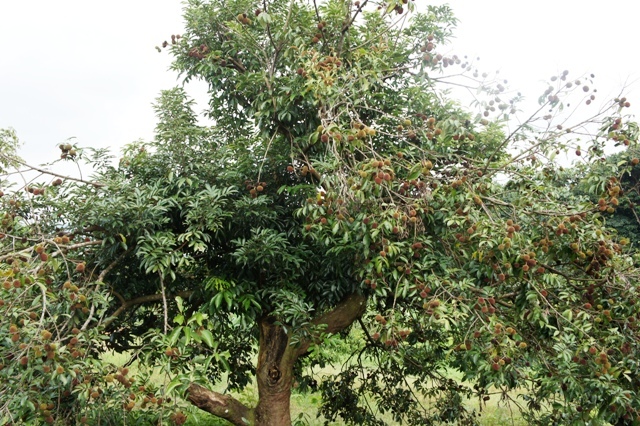 The edible sarcotesta is thinner and less sweet than the rambutan, and it often adheres tightly to the seed kernel. The fruit contains per 100 g edible portion: water 85 g, protein 0.8 g, fat 0.6 g, carbohydrates 13 g, fibre 0.1 g and ash 0.4 g, vitamin C 10.8 mg. 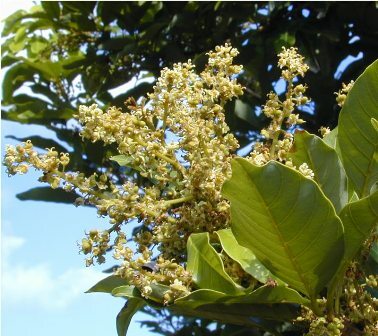 The dried seed kernels yield mildly perfumed oil. This oil solidifies into a white fat when the temperature falls below 105 F. This oil can be used for soap making. The wood is light red, harder and heavier than that of the rambutan and of excellent quality but rarely available. The leaves and roots are employed in poultices. Root decoction is administered as a febrifuge and vermifuge.